Stress can get to even the best of us sometimes. For some of us, this time of year is exam season whereas others might have lots of deadlines piling up at work. Whatever it might be, we want to help you to relieve that stress so you can feel more relaxed and be more productive! Buckwheat is a common ingredient in Korea, and can be found in noodles and pancakes among other foods. But did you know you can also make a buckwheat tea? Roasted buckwheat is used to make this soothing drink, which is prepared by being fried in a pan without oil and then boiled in water. But don’t worry, you don’t have to do any of this yourself! 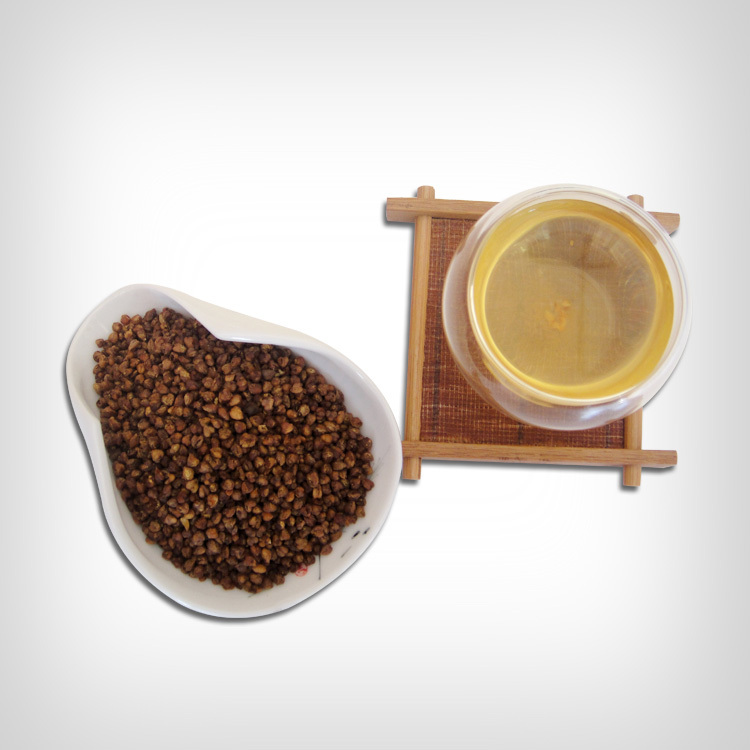 Buckwheat tea is easily purchasable as a tea bag. If you’re having trouble sleeping because of exam stress, the antioxidants in buckwheat will help you out and you’ll fall asleep in no time! Ever sat at your desk for hours, staring at the same computer screen or textbooks until the early hours of the morning? If so, then this is the tea for you! With a sweet, honeyed flavour, this persimmon leaf tea contains nutrients such as Lutein and Zeaxanthin which are said to improve your vision. Now don’t worry, this tea doesn’t contain the actual tears of the biblical figure Job! The plant in which the tea is made from is simply named after him. As you can see, this tea is quite thick and soupy which might not be what you expect. However, it is hugely popular among Korean students. Why? Because it’s high in protein which will pick you up and get you through endless classes or long hours of revision. Sounds great, right? Another famous ingredient in Korea is ginseng, a rather bitter ingredient in many Korean recipes. Luckily, this tea also contains pine nuts and honey, which balances out the bitterness of the ginseng so it makes for pleasant drinking. If you’re struggling with keeping focused, ginseng tea might be for you as it can help to stimulate brain cells making it easier to concentrate. Have you ever sat at your desk for hours on end, and then getting up to find yourself with aches and pains everywhere? Don’t worry, this ginger tea is the perfect remedy, as it reduces muscle pain and soreness. If you have a sweet tooth, it is also prepared with honey, a prized and cultural ingredient in Korea as only royalty used to be able to consume it. Hopefully you’ve found a tea on this list that’s to your liking, and will help make that hard work just a little bit easier! « May K-Pop Idol Birthdays! New Kdrama starring Hyung-Sik & Ji Soo Coming Soon!